Sometimes, a scene or short clip would communicate more than words, but when we speak about dance and performing art, the energy of self-witnessing is incomparable with anything else. I participated in a dance event as a dancer while doing my very first solo performance. It is a new form of dance event born in LA, nurturing freestylers to fully express themselves, share their passion, love, inspirations and personal stories with the audience. Nobody watched the performance through their phone screens, thanks to the principle of no video recording enforced by the organizer.Just like the underground music scene in Berlin, by giving you two stickers to cover the cameras before entering, what’s happening inside stays inside, no video and photo. And it’s your free will to follow the rules or not. I see this as mutual respect and understanding, whatever you see, it’s for that moment, the privilege of people on scene to experience. In other words, it can only be tasted. While celebrating this incredible event arriving in Berlin, we share a little conversation about Diggs Deeper with house dancer/event organizer Madeleine Schulze, a 24 years old German who used to live in France, U.K. and U.S for the past 6 years. Diggs Deeper, been held in Phoenix, San Diego, Chicago, Detroit, San Francisco and so on, now coming to its first international location Berlin, by fusing juicy organic vibes within the city and its dancers, expand to its maximum. Encountered with Diggs Deeper while she lived in San Francisco Bay Area, it was November 2015 when Madeleine attended it for the first time. It blew her mind. As she mentioned, she used to be surrounded by a highly competitive environment from the European perspective, and Diggs Deeper offered her a completely new way of celebrating art. Deeply inspired by that, she decided to get down to the floor at the upcoming one in February 2016. Following up, she determined to share this wonderful experience with the community in Europe. Madeleine described the Bay Area as a big pool of artists of all kinds, the performing arts community is different from what she’d seen until that point. The dancers are extremely creative, offering everyone who shares their passion a family vibe and community to exchange with. In the meantime, providing all sorts of supports with dance styles and personal projects from individuals. So to speak, what impressed her the most is the spirituality and love those dancers shared. Everyone is the crucial parts of Diggs Deeper, no matter we are talking about performers, audiences or music. This is the momentum between creations and sensations, what’s inside can only be tasted. As the organizer of Berlin Diggs Deeper, she shared her insights into what this event is all about. Which is, same as their statement of mission, creating a safe space for artists to be fully self-expressed, surface awareness and acknowledge to culture, and to bring individuals into leadership, regardless what location the venue is. They were able to communicate this spirit and realize it at the very first Berlin Diggs Deeper event. Founded in July 2013 by Jojo Diggs who was born in Germany, Diggs Deeper presents the awareness and acknowledgement of culture evolving from dancers and allows to capture the intimate and authentically raw momentum in creating processes, exist powerfully beyond the dance event. It successfully fuses multiple cultures in an organic way, leaves people feeling reminded and healed. As a ground for artists to feel completely safe to create, no video recording allowed. By doing so, those memories become unspokenly precious, a certain kind of touch that no media is able to recap, or copied a thousand times for people to review afterwards. How was the process of making this event happen in Berlin? Any stories behind you want to share? The process was indeed a lot of enjoyable work. Creating awareness about a new format, with a completely different mission from what dancers in Berlin are used to, represented the biggest challenge. I spoke to at least 75% of the performers either on the phone or via chat to explain what the event is about and make them understand why Diggs Deeper is different than other events and competitions they’ve participated in in the past. That was very time-consuming. I did my best to explain the concept in our Facebook event and still, questions like “Who will be judging?” And “How do the preselections work?” were asked on a regular basis. Which city is the most suitable place for dance and creativities? That is a broad question. I think every city has its unique things to offer when it comes to art and dance. I personally had the best experience in the Bay Area, just because of the mindset of the people, but I find inspiration and artistic power in every place. How would you describe the relationship between music and movements? First of all, I think that movement and music come from the same source, heart and soul. There wouldn’t be music if there were no feelings and there wouldn’t be dance either. Movement and music are ultimately connected to each other, music is moving and movement can look like music. One inspires the other. Best places you ever been? I am not a big festival person. I’ve been to quite a few good parties all over the world but I certainly can’t remember all of them. Regarding dance events, in particular, I would say Diggs Deeper, House Dance Forever, Juste Debout, Paris-Berlin Dance Festival, Cercle Underground, Footwork Frenzy, Funkin’ Stylez, and many more. For more information please see the official website and Facebook fan page. 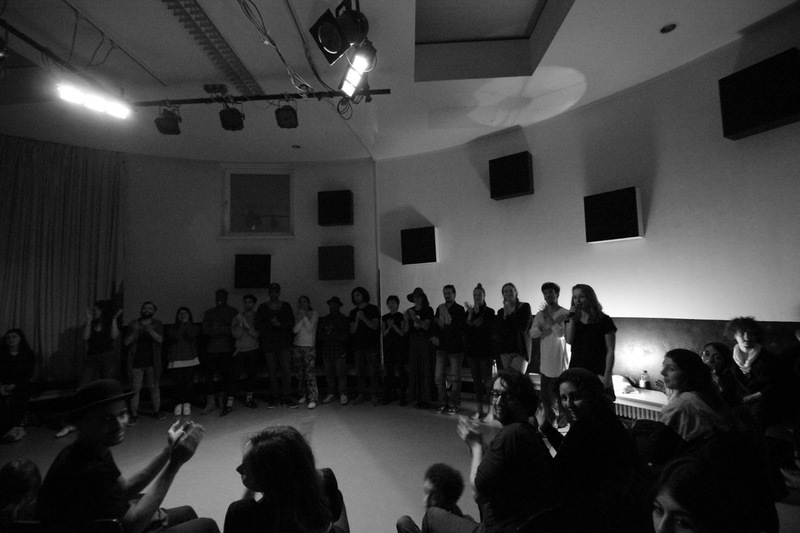 ← Previous Post Spanish dream, Deltebre Dansa!